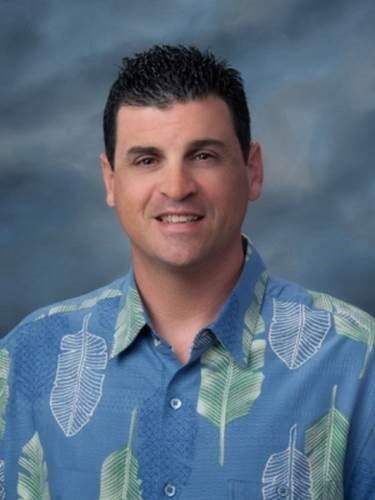 It is my honor and pleasure to serve as your 2019 ACHE Hawai’i-Pacific Chapter President. I had the opportunity to attend ACHE Congress which has strengthened my enthusiasm and passion in the healthcare field. We face many challenges in the ever changing healthcare world though together we can make positive changes. Thank you for the dedication and commitment from our members and board leadership which resulted in the recognition “Chapter Management & Awards Program Award for Chapter Excellence for 2018” for the Hawai’i-Pacific Chapter at Congress this year. ACHE is committed to life-long learning, embracing the power of knowledge and how it drives positive change, within oneself and one’s organization. Our board has been working hard to organize educational and networking events to help support our members in their professional development and growth. 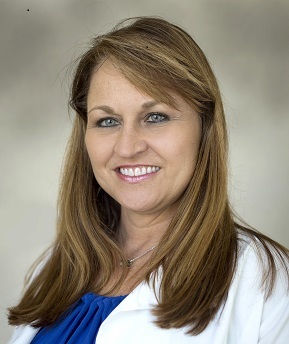 Some upcoming events in 2019 include: Social Events, New Member Breakfast, Annual Chapter Breakfast, and AONE/HFMA Conferences. We welcome all volunteers to participate and be active in our chapter activities as it will take a team to achieve our goals. I look forward to seeing you throughout the year. Greetings and welcome to the Hawai’i-Pacific Chapter ACHE website! The summer season is upon us and it is with great enthusiasm that I continue to serve as your President. 2018 is proving to be a great year with opportunities to continue improving and evolving our chapter offerings to meet the needs of our membership throughout the Hawaii-Pacific region. We plan on providing the same amount of social networking and membership opportunities, but also increasing the variety and also the number of hours of face-to-face credit opportunities to meet your FACHE credentialing needs. 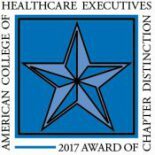 Your chapter board of directors recognize that having to travel to meet your credentialing goals is a big challenge. To that end, we set out to minimize travel cost and time for all members with more credit opportunities and invite you to join us for the following chapter events! On-Location Education Program on Leadership Strategies, August 13-14, 2018 at the Queen’s Conference Center. RSVP and register via Eventbrite. 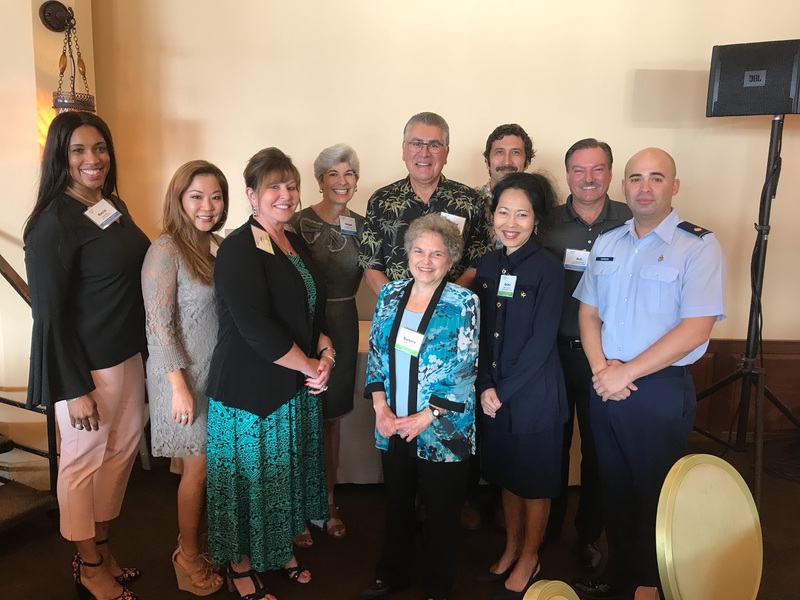 Hawai’i-Pacific Chapter Annual Breakfast, July 24, 2018 at the Waikiki Prince Luxury Hotel. RSVP for this free event via Eventbrite. I want to congratulate Gidget Ruscetta for her election as the new Regent for our region–her 3 year term beqan in March of this year. Thanks to Jen Chahanovich as she transitions out of the Regent role and all of her many contributions as our Regent. Finally, I would also like to sincerely thank all of our board members for taking an active role in our chapter! As part of member engagement, our goal is to provide members with access to up-to-date information on chapter events on our ache website. Information about educational events, social events, obtaining FACHE status to mention a few; are available to our members. Access our quarterly newsletter and links to the national ACHE website. I want to invite interested members, long-time and new to volunteer by taking an active role in our chapter! Contact Kecia Kelly, membership chair or any of our committee chair members to find out more about opportunities to participate. In closing, thank you for your membership, I look forward to seeing you at our events this year. 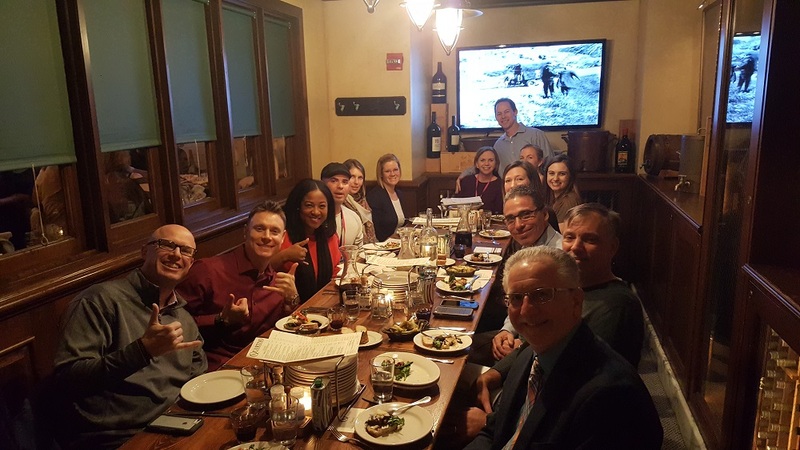 We continued our long-standing tradition of great food and fellowship as Regional Director Gerry Berish joined us at our Annual Chapter Dinner at Quartino’s Ristorante in Chicago. 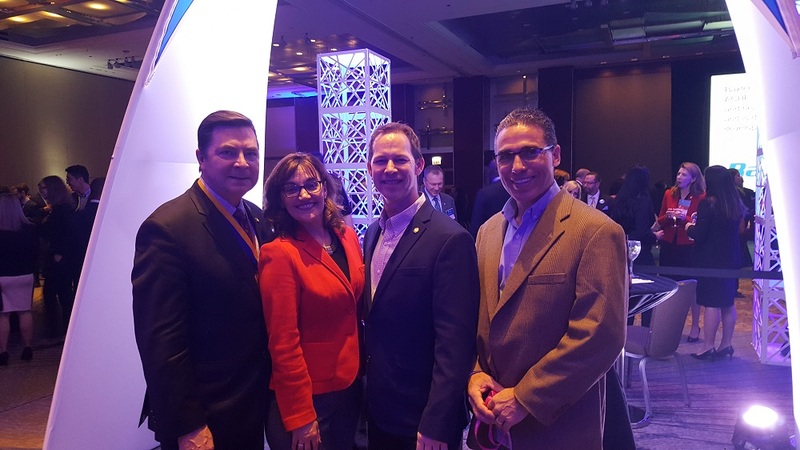 Micah Ewing and Robert Diaz spend some time networking with current ACHE Chairman, David Olsen, and ACHE President and CEO, Deborah Bowen. 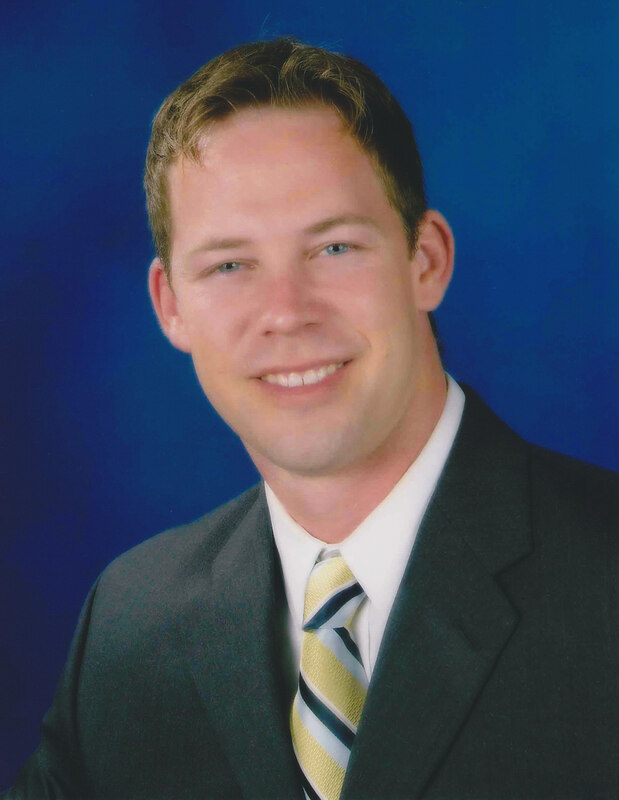 David will be speaking at our Chapter Breakfast in July. Greetings and welcome to 2018! I hope the holiday season has been safe and served you well with the valuable time with our families and good fortune overall. 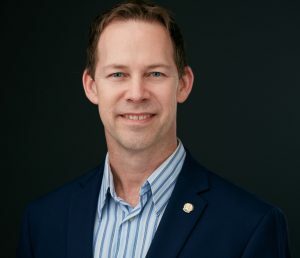 It is with great enthusiasm that I begin the new year as your President as I look forward to a great year and opportunity to continue improving and evolving our chapter offerings to meet the needs of our membership throughout the Hawaii-Pacific region. While our first board meeting is on Thursday, January 11, we have already began the planning process and we have some great things planned for this year. We plan on providing the same amount of social networking and membership opportunities, but also increasing the variety and also the number of hours of face-to-face credit opportunities to meet your FACHE credentialing needs. We recognize that having to travel to meet your credentialing goals is a big challenge–lets minimize that travel cost and time for all members with more credit opportunities! I want to congratulate Gidget Ruscetta for her election as the new Regent for our region–her 3 year term begins in March of this year. Thanks to Jen Chahanovich as she transitions out of the Regent role and all of her many contributions as our Regent. Finally, I would also like to congratulate our new board members and thank you for taking an active role in our chapter! If you plan on joining us at Congress this year, please book your hotel and flight early for this great event. Please click here to learn more. Aloha, and look forward to seeing you at our events this year. 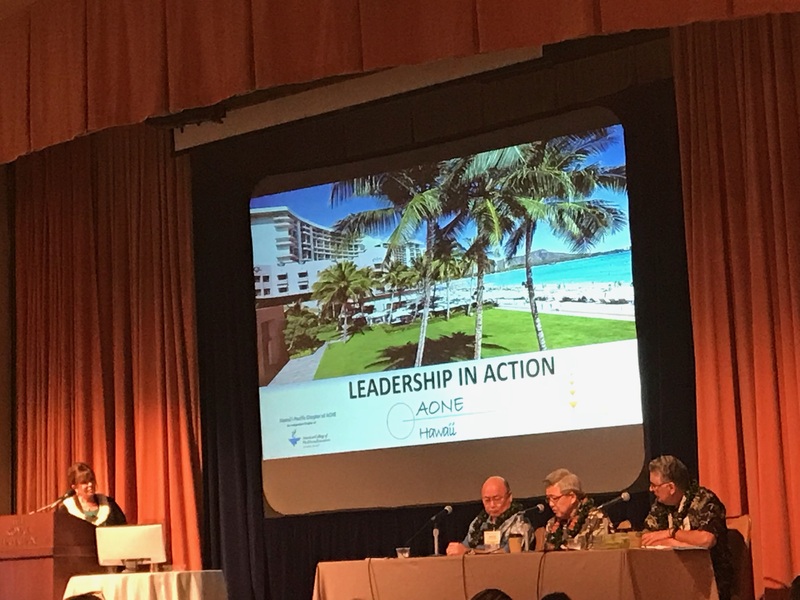 Our local chapter recently provided continuing education credits during the 2017 Healthcare Leadership Conference, which was held at the Royal Hawaiian Hotel November 2nd-3rd. Several Hawai’i-Pacific Board Members attended the event. Our regent (Jen Chahanovich) facilitated a panel titled, “Diversity In Leadership: Leadership Perspective.” Participants included Richard Cordova (FACHE), Gary Kajiwara (FACHE), and Arthur Ushijima (MA). 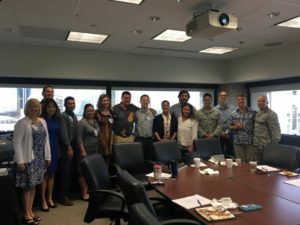 We recently hosted our second annual “New Member Breakfast” on Wednesday, March 15 at Hawai‘i Pacific Health’s Administrative Offices located in the First Insurance Center building in downtown Honolulu. We were pleased to welcome twelve new members who serve in various hospital systems throughout the state. Nick Hughey (Current President) and Micah Ewing (President-Elect and Membership Chair) and held a short orientation for the attendees. They highlighted our consistent increase in chapter membership. We now have over 250 active members! The annual chapter dinner at Quartino’s. a long standing tradition of great food and great times networking and talking story with Chapter colleagues! ACHE annual convocation ceremony. 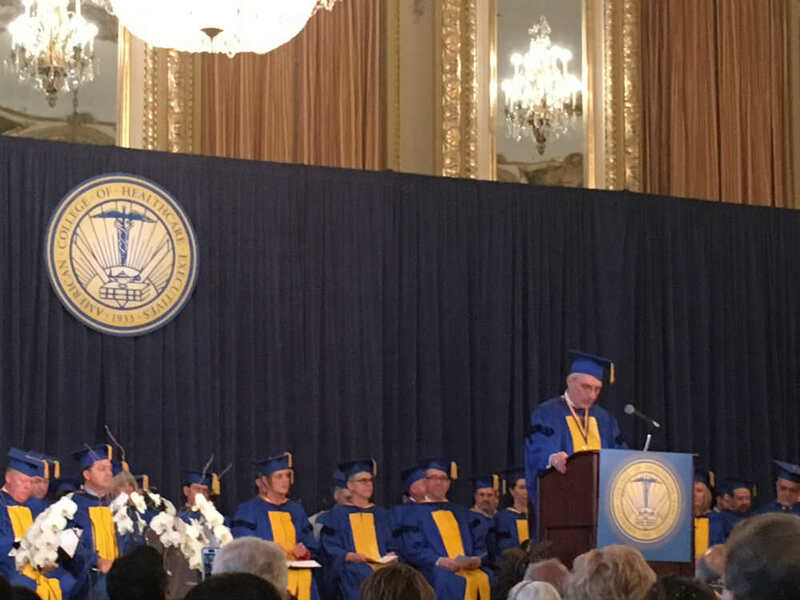 The wonderful event formally recognizes the efforts and achievement of all new Fellows. Hawaii had four new Fellows in this class ! 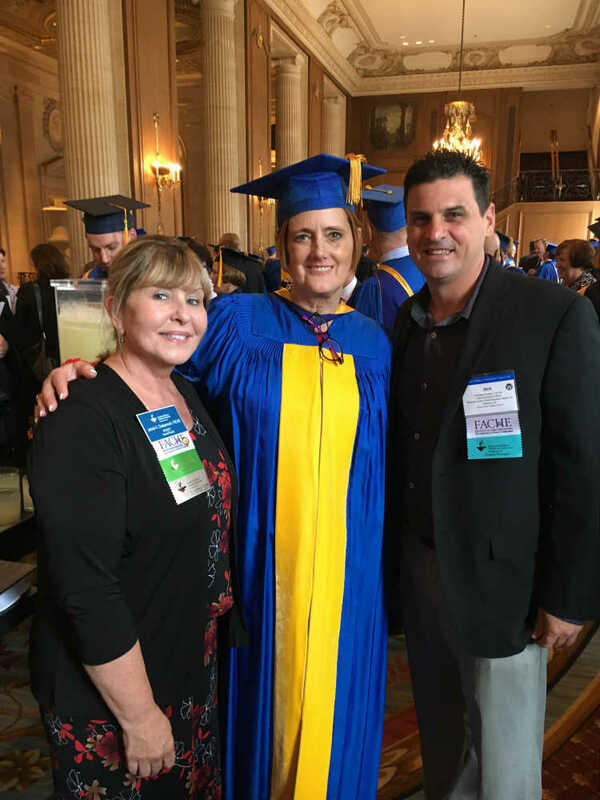 Nick Hughey , Chapter President and Jen Chahanovich, Regent taking a picture with Deborah Bowen, ACHE Chief Executive Officer at the convocation reception. 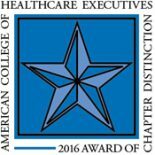 I am honored to be the President of the Hawaii-Pacific Chapter of ACHE in 2017. The Chapter continues to grow due to commitment of our members and diligent leadership of Officers and Board. We are now approaching 250 members! 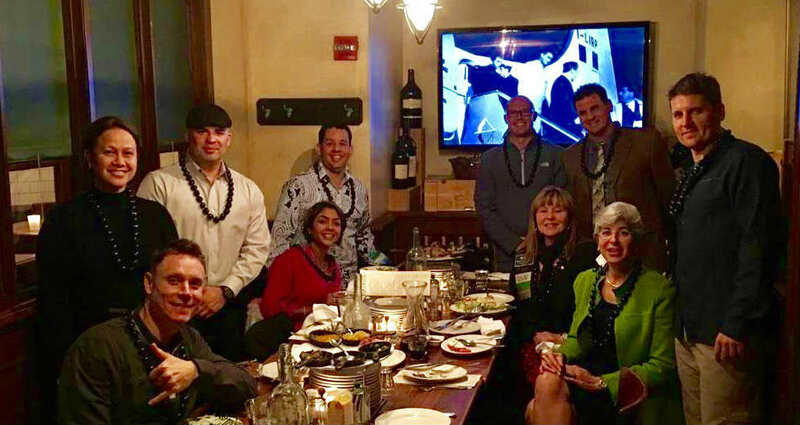 The Hawaii-Pacific chapter has continued to see unprecedented growth and we are already planning for networking and education events for 2017. Much has changed–and continues to change– in the healthcare landscape and there is undoubtedly a measure of uncertainty. 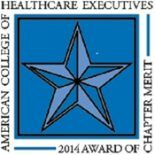 One thing I am certain of, is the value of membership in ACHE and our chapter. 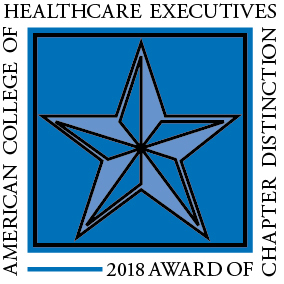 Networking and professional development are vital and ACHE is the leading education association for healthcare executive management in the nation. 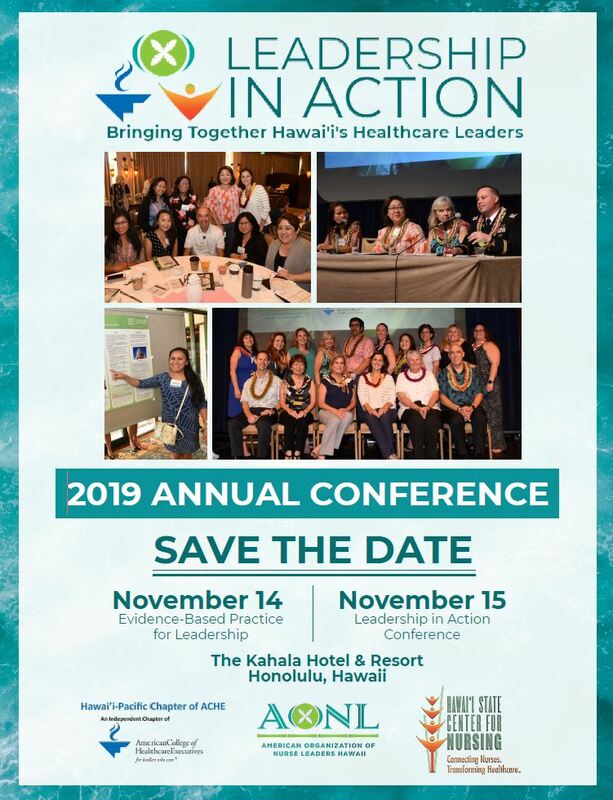 ACHE is a tremendous professional organization and the Hawaii-Pacific chapter of ACHE is a dynamic chapter. I look forward to working with everyone in 2017! I want to thank all of our members for their commitment to strong quality healthcare leadership in Hawaii. If I can be of any assistance or help in any way, please feel free to contact me. I look forward to seeing you at an upcoming educational or networking event. 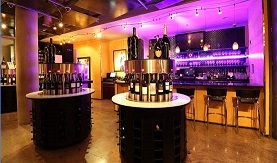 RSVP Today for our Spring Social Mixer!